Having a toddler in the house is an interesting experience. With his newfound dexterity and mobility, our 19 month old regularly would run me and his mother up a wall as he laid waste to our happy home. His “extracurricular activities” came to a climax the other day when I unexpectedly heard a flush coming from our bathroom followed by a maniacal giggle. That was when I discovered my phone in the toilet. Once I recovered from the shock, I began the process of searching for a replacement. I went to a mall kiosk to sort out all of my options, and that’s when I was hit with a bomb; not only would I have to shell out hundreds of dollars in order to get my phone replaced, but when the service rep showed me exactly what I was paying for, I realized I was definitely not getting the most of my money. Luckily, I was already at the end of my contact, so I was able to break free and find a smartphone that met my needs and was also affordable. At Walmart of all places, I’ve found everything that I have been looking for . It didn't take long for the helpful customer service rep at Walmart to convince me that Simply Prepaid was the right plan for me. 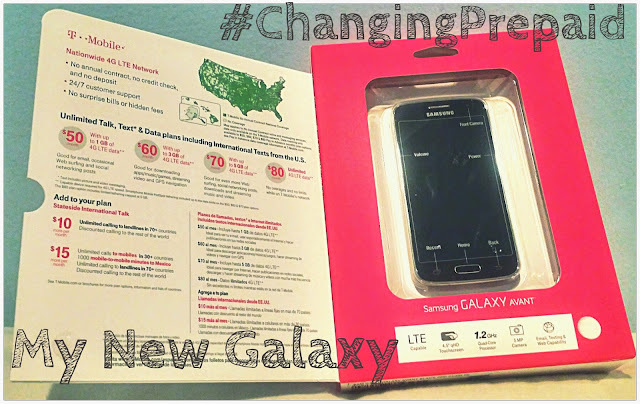 With Simply Prepaid, everything you know about wireless and prepaid is turned on its ear. You can get unlimited talk, text, and data with your choice of a high-speed data amount (*with a max speed of 8Mbps) starting at $40/month. Because of those savings, I was able to literally slash my costs in half. With a plan so cheap, you’d probably assume that the data would be slower than what you’d get from a prepaid plan. On the contrary, since the data plan is on T-Mobile’s Nationwide 4G LTE Network, so you’re guaranteed to have fast internet. The historical “pain point” that the wireless industry has decided prepaid customers should have to settle for because of how they choose to pay has completely been decimated. Prepaid often has slow data, a spotty network, and second rate phones /less of a selection of phones. However with Simply Prepaid you get 4G LTE data on T-Mobile’s network. 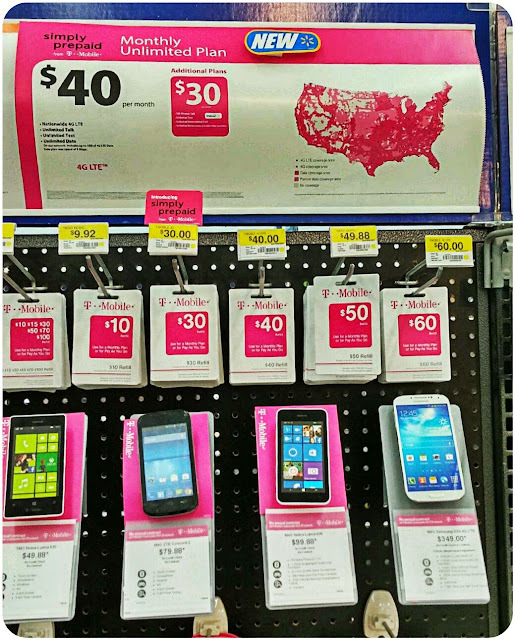 T-Mobile is bringing the best of wireless into prepaid. Don’t settle for scond-rate wireless prepaid . I picked up the Samsung Galaxy Avant smartphone and I’m satisfied. It’s not exactly the most top of the line phone out there, but for only $149, it has nearly all of the features that I need. I honestly don’t miss my old phone (or plan) at all. However, I'll probably make sure that I do a better job of keeping this phone out of my toddler's hands. 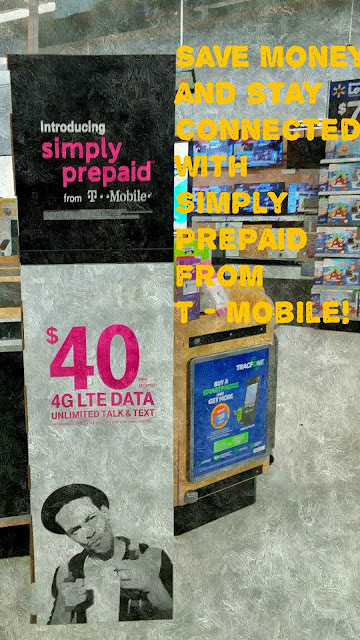 So, if you’re sick of paying ridiculously high amounts for your service, consider taking a trip to Walmart to make the big switch over to Simply Prepaid™ from T-Mobile. "He doesn't look too good", my wife said to me as we stood there in our bathroom peering over the fishbowl. We looked at each other and our thoughts immediately went to our 5 year old. It suddenly occurred to us that this experience, something that my wife and I have been through many times as children, was completely foreign to him. Fishy Face, our betta, once had scales that boasted a brilliant red hue, which was highlighted with streaks of blue and purple. At that particular moment in time however, Fishy looked grey, dull and listless as he was barely managing to float above his pebbles. 3 years ago, my son, who was 2 at the time, picked Fishy out of an intricate multi-shelf display at the pet store. It was then there the fish was given his name. Over time, between the feedings, where he would learn to come to the surface whenever we grabbed the fish food, and the delight we got in watching his gills flare up at the sight of his own reflection, we fell in love and Fishy became part of our family. Eventually, like all good things I guess, Fishy Face quietly passed away. My son's reaction once we broke the news to him was as heart-wrenching as we could've expected. Pangs of grief racked his body as he sobbed over losing his friend. As he expressed his grief, I held him tightly and did my best to support and comfort him. He watched as I scooped Fishy out of the bowl and he asked if he could hold him. Unfortunately, Fishy smelled really bad by the time we got to him, so we made a compromise: Instead of holding him, he got to flush the toilet instead. We said a few words and he pulled the handle, teary eyed and all. As I watch him stand there there firmly like a viking sending off his comrade on a flaming pyre into Valhalla, it felt like he was growing up right before my eyes. My little boy is not so little anymore. As hard as this was for him to go through, the sad reality is that this experience is barely a drop in the bucket compared to the losses that he will ultimately endure in his life. Relationships will end, friends will turn their backs on him and eventually, he will one day come to grips with the loss of his parents. These inevitable losses are unfortunate, but a necessary part of life that makes all the moments that we share on this earth all the more beautiful. If he's lucky, none of that will happen for quite some time. Today, his first pet is gone, and he misses him alot. 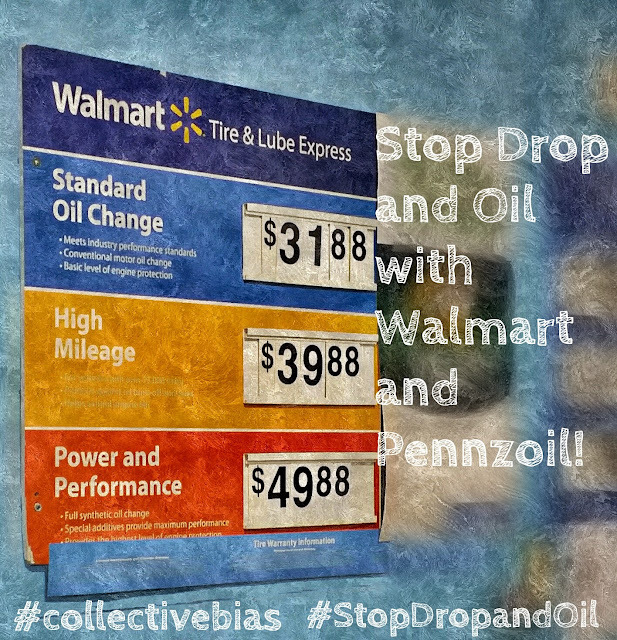 Get your #DropShopAndOil on with Pennzoil and Walmart! Out of all families we know, I’d definitely say that we travel the most. We live in Connecticut, but I’m from New Jersey and my wife is from Maine. This means that we are always making plans to go to and from our respective home states to visit family so we can be there for as many birthdays, weddings and other assorted celebrations as possible. Our boys are still young, so our favorite strategy for getting a leg up on our excursions starting our trips at night around their bedtime, so we can reduce the amount of crankiness that could potentially sidetrack us. Another tool we use to keep the kids upbeat is our portable DVD player. If the kids aren't sleeping and we have a ways to go, we'll simply pop in one of their favorite movies to keep them thoroughly entertained. Since we spend so much time together on the road, having a car that's safe, reliable and well maintained is super important for us. Sometimes however, the hectic demands of family and work can make it difficult to get the things that we need done before our big trips. 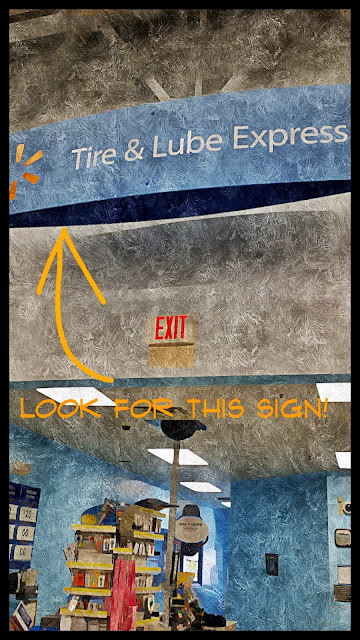 Fortunately for me, Walmart has figured out a way to make life a little easier with having their Automotive Care center attached right to their store. 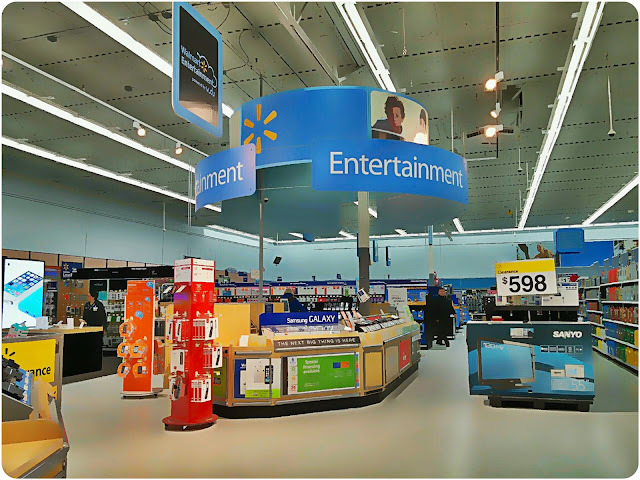 These days, Walmart has truly become a one stop shop. I really enjoyed the fast and super friendly service at the Auto Care center. As an insanely busy parent, I really appreciate the fact that I was able to hit 2 (or 3, or 4) birds with one stone because not only did I get my oil change before our next trip to Maine, I took care of all our food shopping and other miscellaneous errands as well. The brand that I chose for the oil change is Pennzoil, mainly because their products are known to help clean out sludge lesser oils leave behind. Penzoil is designed for complete protection and will allow you to drive an extra of 550 miles per year vs. a dirty engine. Indeed, no other motor oil provides better protection from friction. Platinum (synthetic motor oil) – Best cleanliness and protection in the Pennzoil line-up. With PurePlus™ Technology, the Platinum® motor oil is proven to keep pistons up to 40% cleaner than the toughest industry standard. PurePlus™ Technology is a revolutionary process that converts natural gas into a 99.5% pure base oil. High Mileage Vehicle – Helps to reduce leaks and oil consumption in worn or higher mileage engines. It's a motor oil that is specifically designed for new or late model vehicles with over 75,000 miles, to help keep the engines running clean and going strong for a long time. Conventional Motor Oil – A traditional oil base, fortified with Active Cleaning Agents™ to continuously prevent dirt and contaminants from creating performance-robbing deposits. Over the years I’ve definitely put quite a few miles on the car, so I went with the High Mileage Vehicle brand to ensure optimal efficiency. When were on the road, it’s great to know our car that is carrying our peacefully sleeping children is in tip top shape, thanks to Pennzoil and the Automotive Care center at Walmart. Knowing that my car is well taken care of is a huge weight off of my shoulders and allows me to focus of the awesome trip that’s ahead of us. So, I've told you guys about a couple ways that I keep my kids occupied during road trips, now tell me about yours! I woke up this morning to a news feed filled with emotional reactions to last night's Superbowl XLIX. 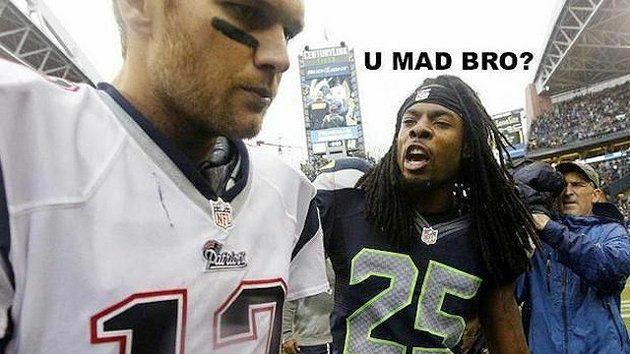 The epic back and forth battle between the two best teams in the NFL certainly lived up to it's hype and ended up becoming the most watched television show in history. ...and it's been downhill between them ever since. This time however, things were different. In an eerily familiar reversal of fortune, Brady managed to rally the troops and overcome a hefty point deficit to win the championship. This moment of sportsmanship between two athletes is significant because it sends the message that no matter who your favorite team is or which organization you play for, the ability to be gracious and show respect to the man on the other side of the line of scrimmage is what's most important. In other words, competitiveness is a good thing, but don't be a jerk about it. These are the types of lessons that Brady, a proud father of three and Sherman, a newly expectant dad will likely seek to instill in their children. And it will be experiences like the once that they shared during this Superbowl that will be the example, for their kids-and for us all.